"LandRaider" modeling, mipmapping, texturing of all maps, drive animation, etc... completed, and here is some screen shots from the game. 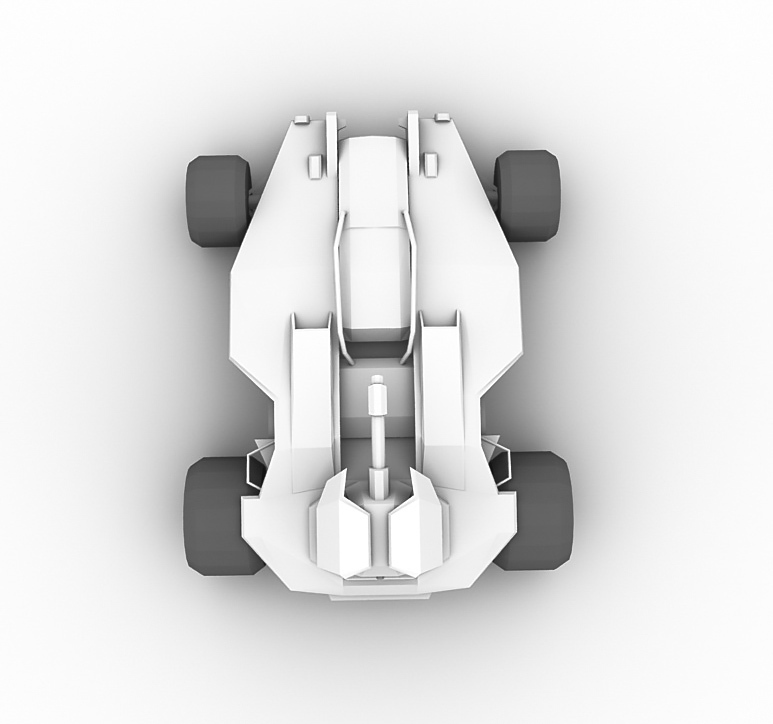 The vehicle looks good from all angles, but in the game it will be visible most of the time from top. 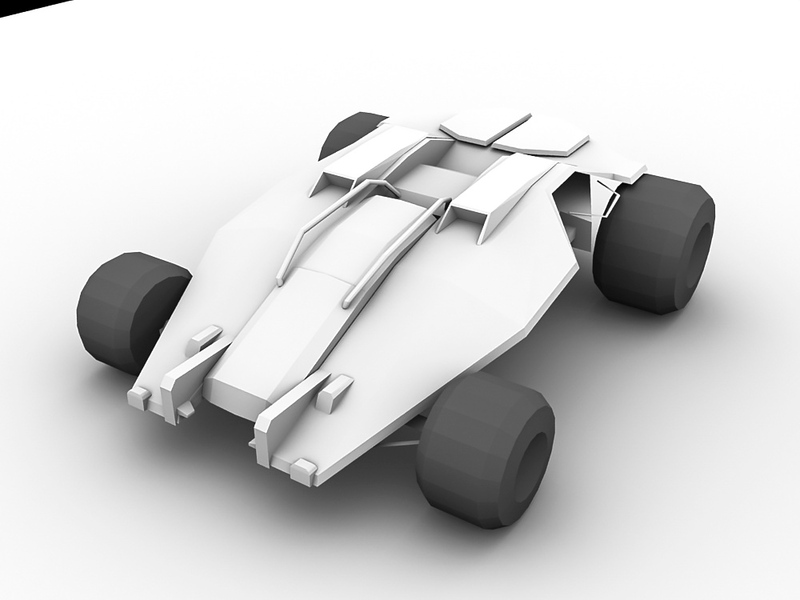 So my mission was to create it as light (low poly) as possible when looks good from far top. 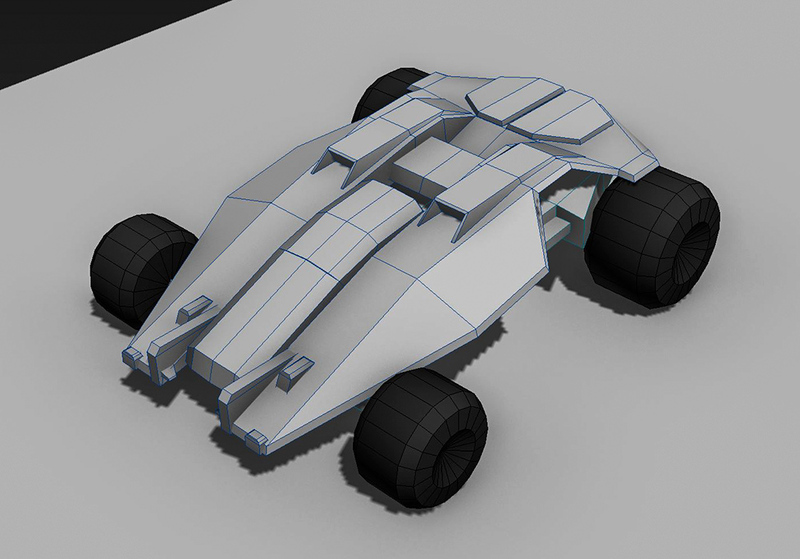 In total vehicle weight 1.5K vertices inside game engine, including smooth groups, UV and model itself. 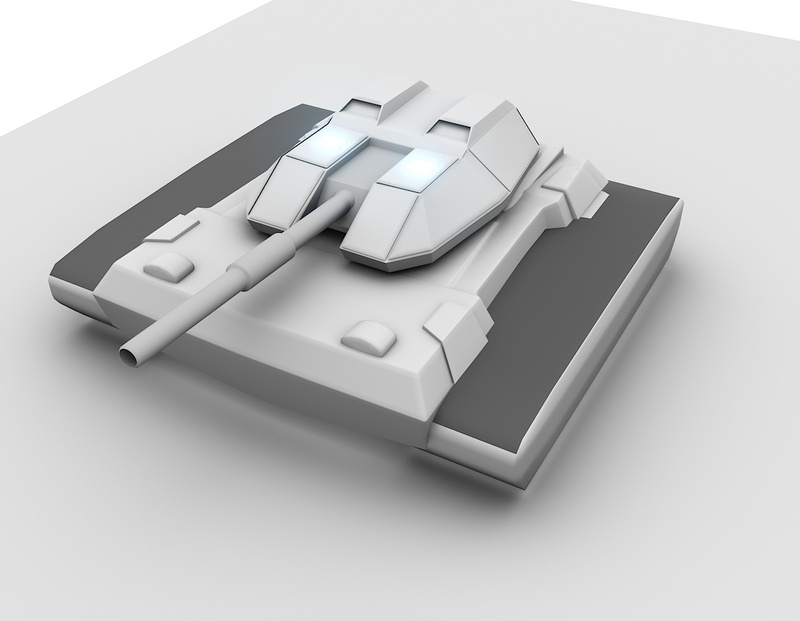 Assault Tank was 700 vertices all included, this is almost twice less, but even for mobile game 1.5K or 700 will not make any difference if shader done right and not too heavy. 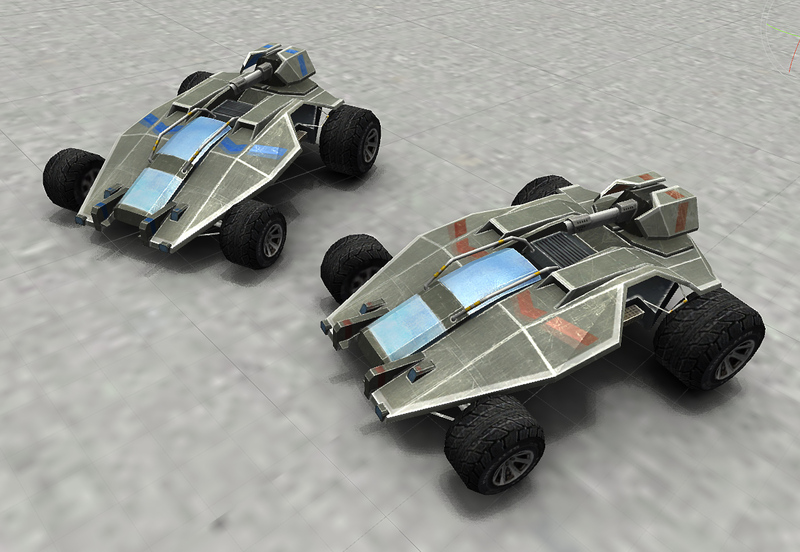 For this vehicles I created pretty light shaders with specular and diffuse maps only, when most of the work done on vertex level, and only the first directional light processed inside fragment function. 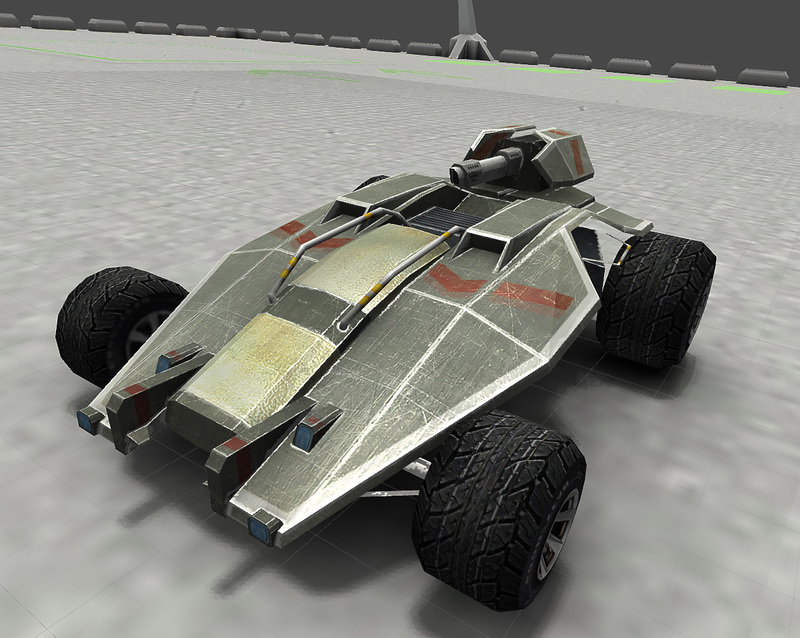 Here is a video of the vehicle inside the game (watch it in HD). 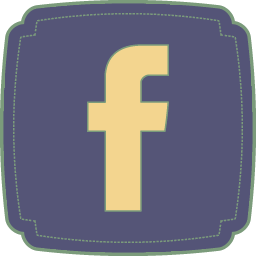 Please give LIKE in youtube, comment and sign to game group in Facebook. 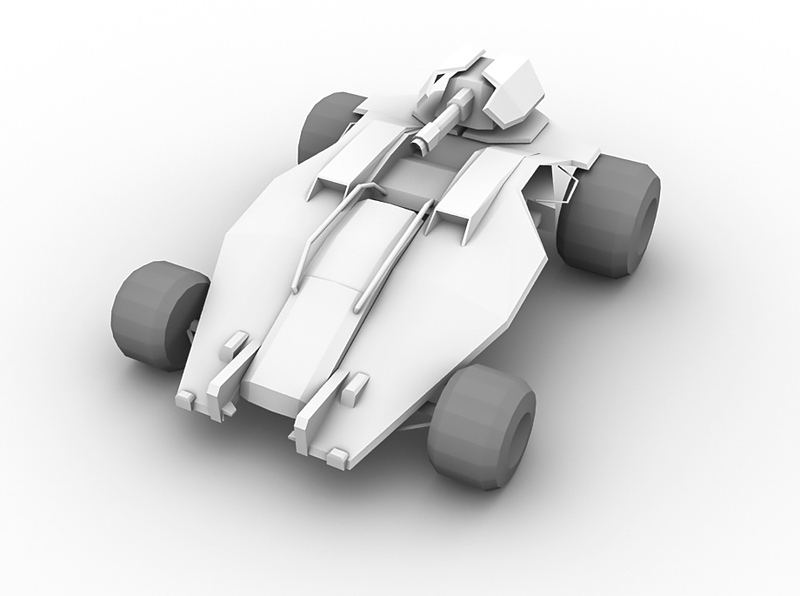 Here is a few images of a "Land Raider" (Fast and Light Vehicle) design. 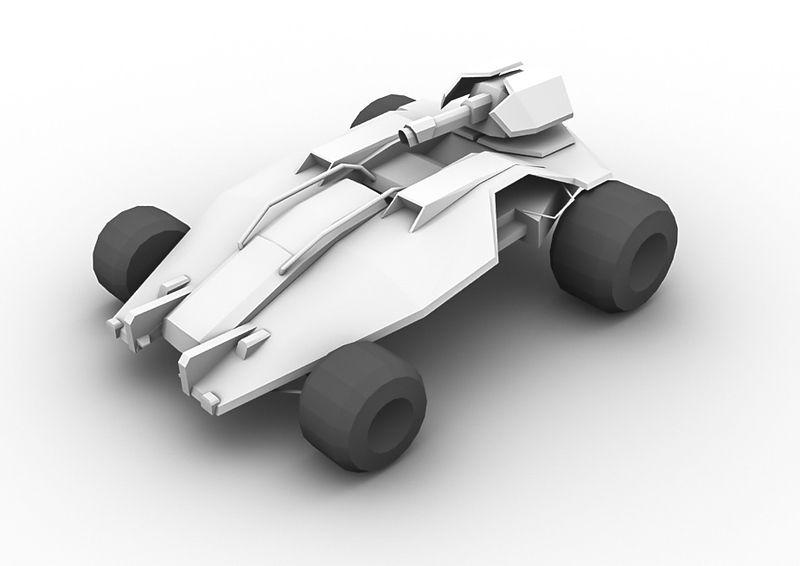 The idea was to create Low Poly model that will run on Mobile, and will look good from top. It is work in progress and not a final version. 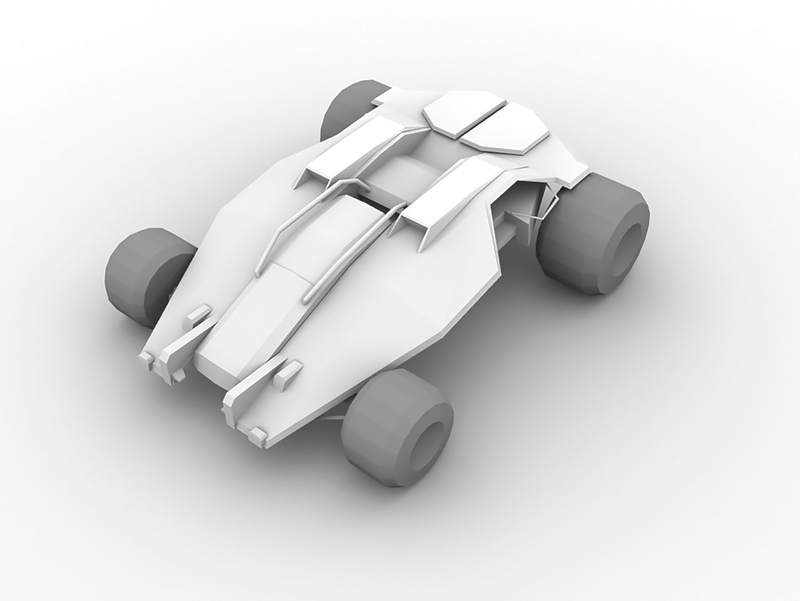 Eventually I decided to recreate vehicles from scratch. 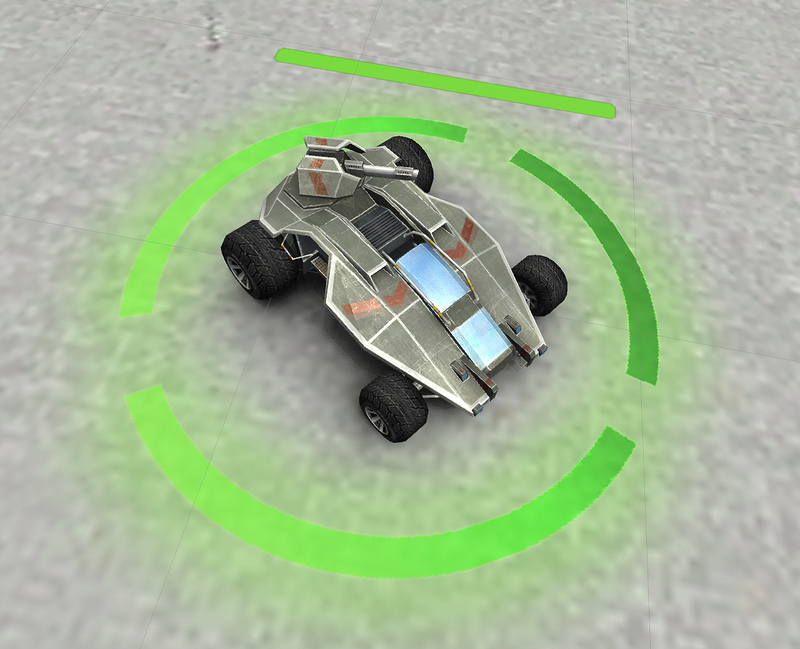 In the upcoming version I will add 3D vehicles instead of 2D sprite taken from an old game. 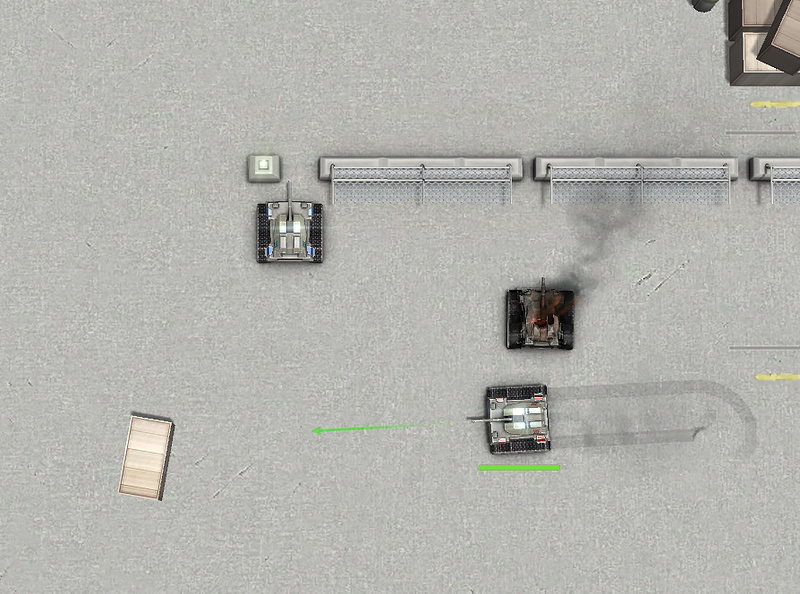 The idea was to create a tank that looks good from top and far away in variable distances. In order to keep visual quality of the game in the highest level I created Hi-Poly mesh, that was then baked into a low poly with projection for high quality Normals and Ambient Occlusion. 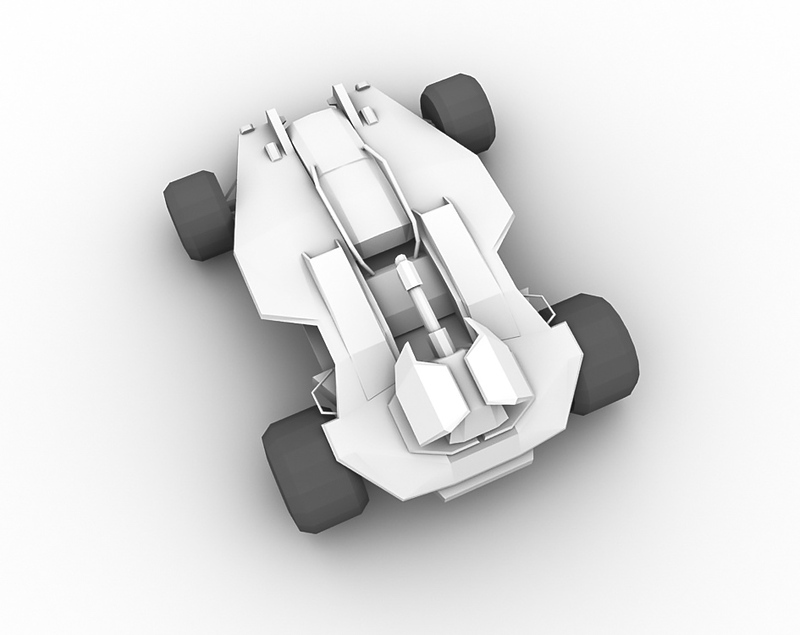 Than diffuse and specular maps was created. Tomorrow I will start working on PBS (Physical Based Shaders) using Shaderlab and CG shader language. 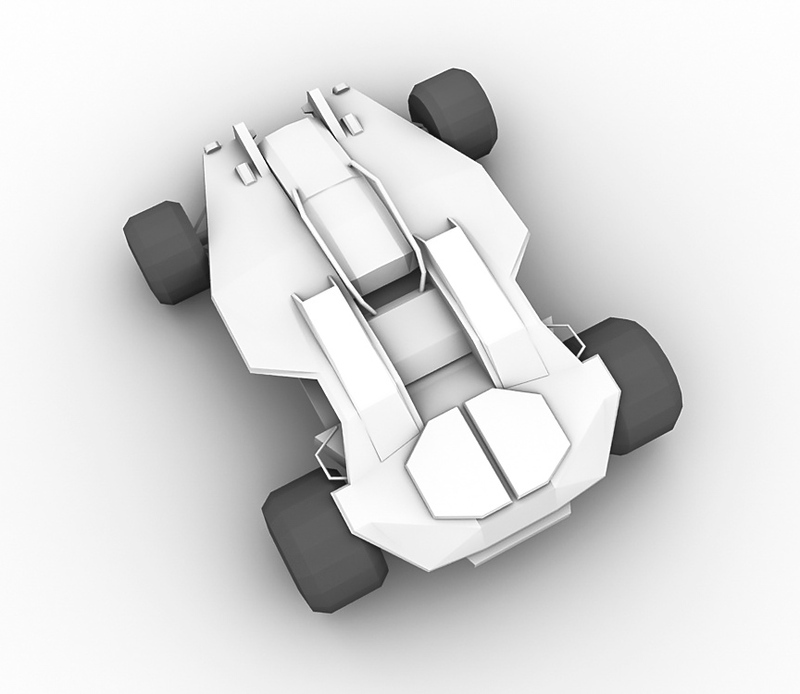 The game will run on forward renderer in order to support mobile platforms. I am also planing to use IBL (Image Based Lighting) for best results. 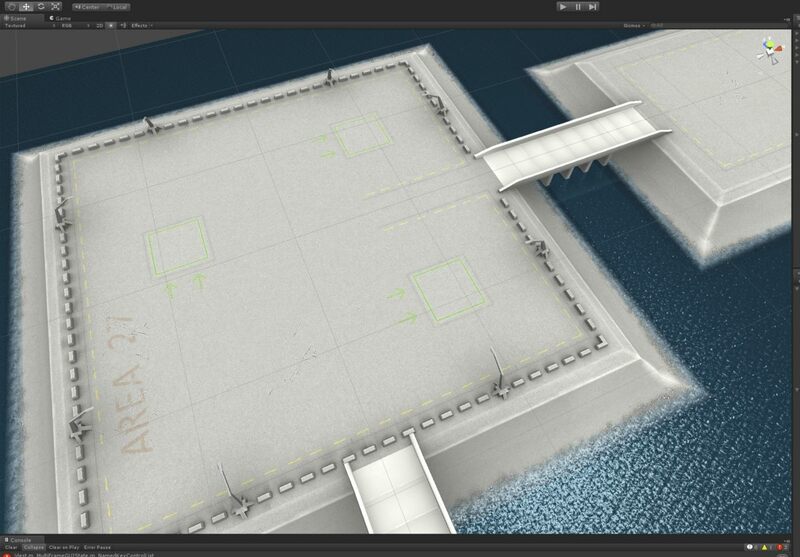 And next is emission map for light Efx with SIN animation inside shader, and same for moving tracks animation. Unfortunately SSAO camera effects, have to many artifacts and might be slow for mobile. 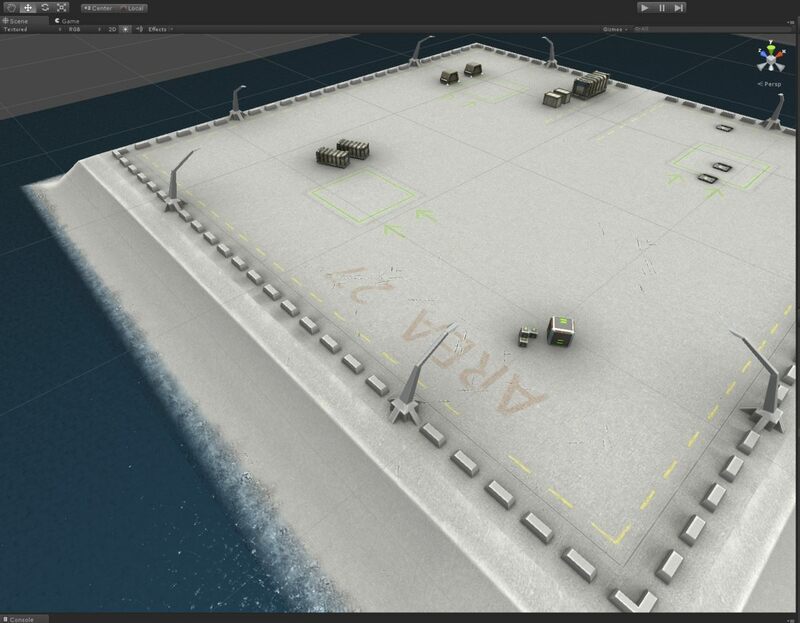 So I used few tricks to emulate AO between separate objects, should work fast even on mobile. 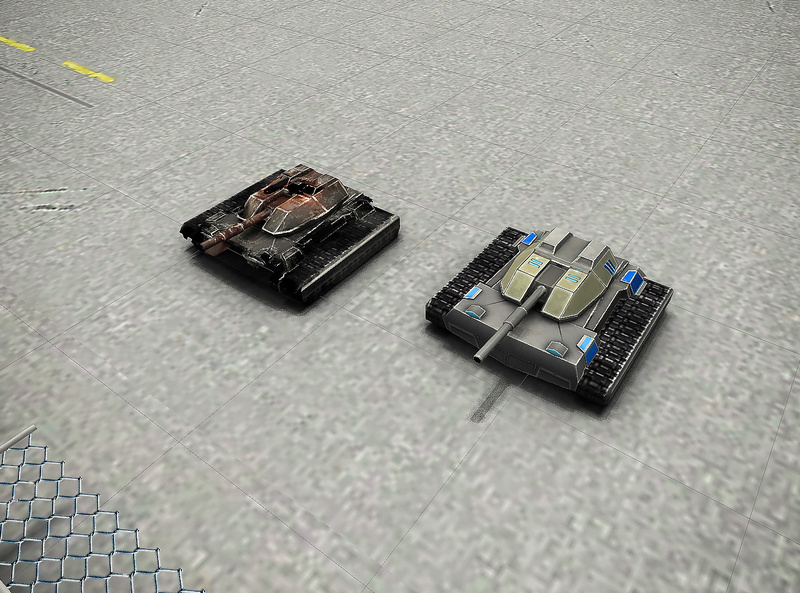 Here is a few images of a new Assault Tank close by the old one. 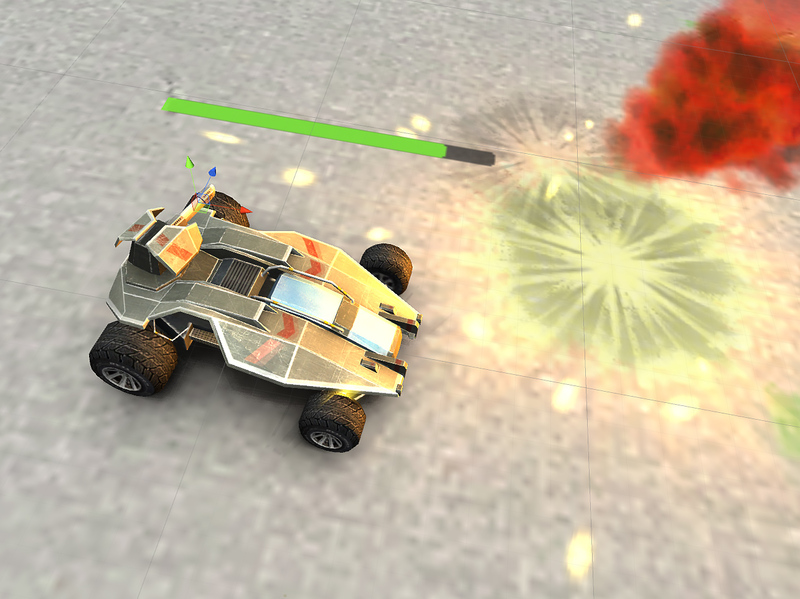 Most of the changes was in the core engine and networking, also few graphical changes added. 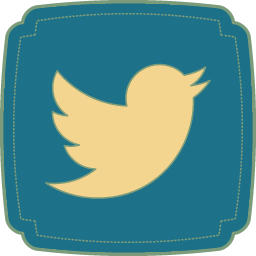 Due to this changes in networking, the previous version is not working, so please update. Now it is also possible to cross platform play in real time, i.e. PC with Android Tablet. 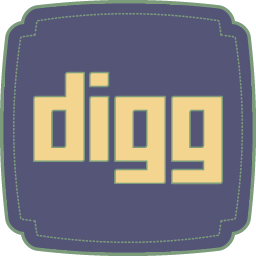 Android Version with screen rotation support, should run even on old devices. Tested on Samsung Galaxy Tab 10.1 and Galaxy S2. 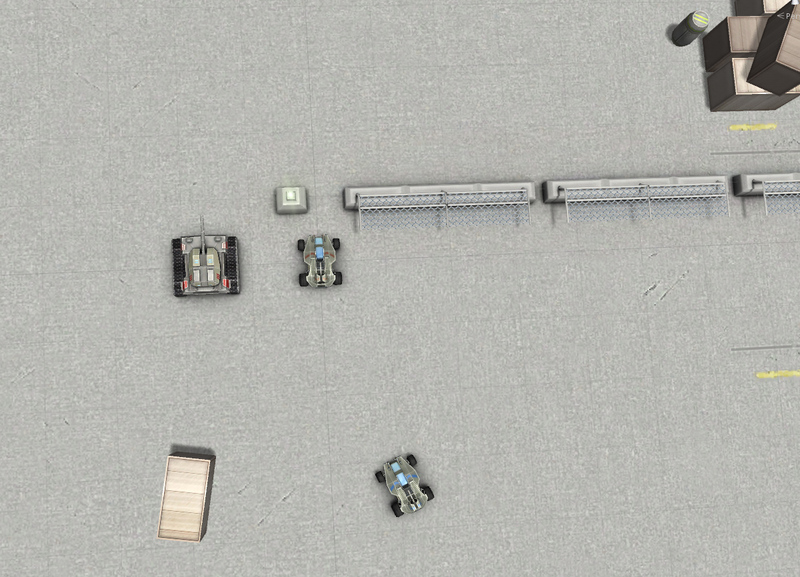 Right now I am working on more advanced vehicle system, here is a few images of work in progress. Full user management, add, delete, restore, modify users from admin. 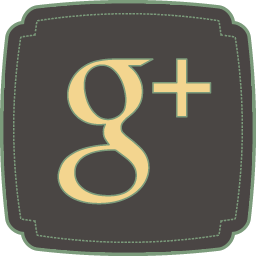 Create and Manage vehicles and ammunition parameters right from admin. Full logging of any admin changes or in game activity. Didn't had much time to work on it last two weeks, but here it is, ready for you. 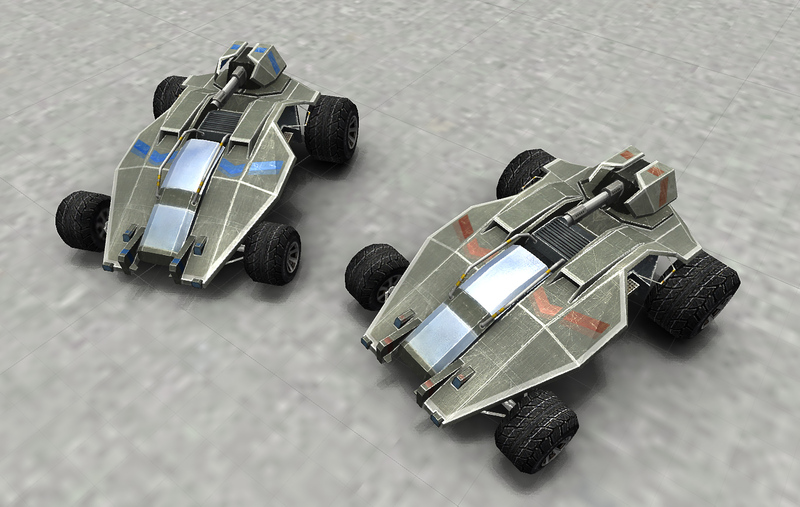 New vehicle type, Heavy Artillery. 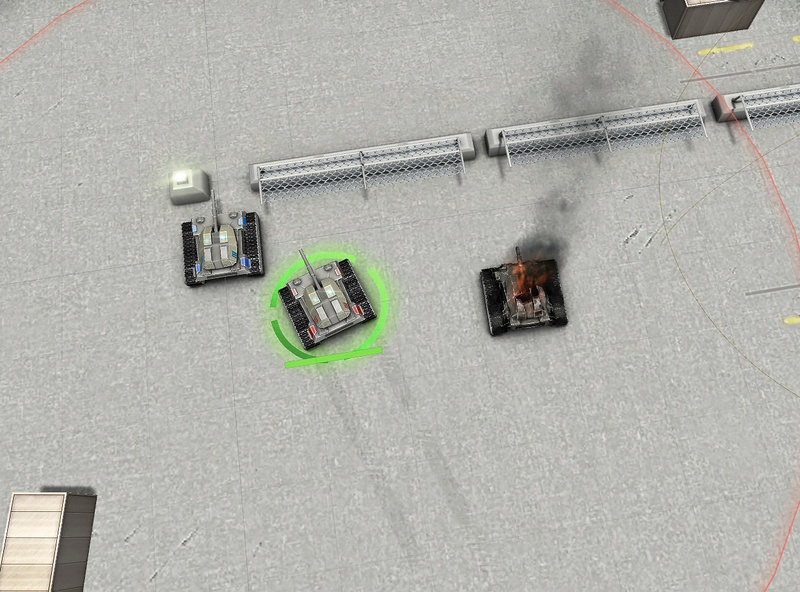 It have a close non fire range, and can fire to long distance and even over low height objects. Bullets trajectory and explosions force calculated using real physics. It's large explosion radius can make a great damage to the enemies in it's range. now fps calculated for a total fps per 1/2 sec. 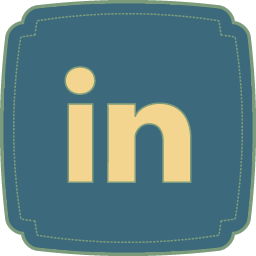 © 2014 ONEROOT INC. Development and IT Solutions. All rights reserved. Page loading time: 0.002 sec.